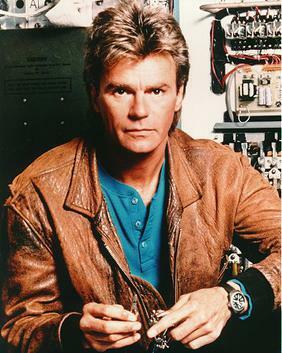 Remember MacGyver? In the episode “The Road Not Taken,” by being creative he manages to distract the enemies from pursuing him and his female companion by creating a time-controlled rock catapult using just branches, rocks, rosary beads, and twine. MacGyver arranges the branches to shape a catapult held by twine. He uses the rosary beads to refract sunlight so that it gradually burns the twine as he and his companion try to escape. When the catapult is finally triggered, the rock distracts the enemies and makes them pursue in the wrong direction. Whether or not this is viable, what MacGyver does is a good example of how someone can be overly creative under pressure or urgent circumstances.In fact, the entire MacGyver series can be considered exemplary when we think of them as a creativity-inducing show. In real life situations, the likelihood of you being hunted down by a group of Soviet spies is pretty slim indeed, but it does not mean that you will not need to develop your creative abilities for any other problem. Although you may never have to be under that same amount of pressure, calmness and a clear head are still essential to help you survive the changing world. Pressures and difficulties are always around the corner; not only from life-threatening situations, but also from school, work, relationship, friends, families, and business competitions. There will be times when you have to think carefully and develop a creative train of thoughts to solve problems and achieve major life goals. It can be about career, financial issues, academic achievement, health, etcetera. Here are some ways to boost your creativity and productivity at the same time.